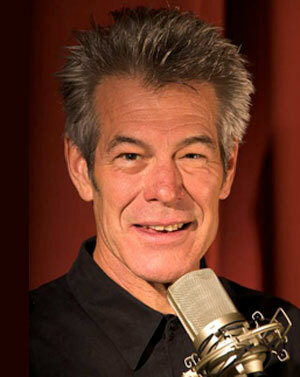 Jacob Mills’ voice can be heard on television, radio and corporate audio/video. He works for advertising agencies, corporations and private producers. 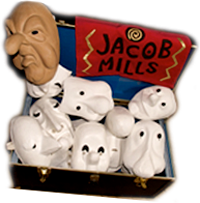 Jacob’s background in live performance and improvisation also makes him a great choice when you need something just a little different. Jacob Mills, AKA ‘Jake, the bartender,’ was the delightful host of the award-winning ‘Hotel Milwaukee’ radio show for five seasons. Jacob was pivotal to the success of the comedy/variety program, performing multiple roles as the charming host, announcer, interviewer and, on occasion, a guest character. He has the uncanny ability to be funny, warm and quick-witted. He always made guests and interviewees feel comfortable, with great questions, as well as being a marvelous “cheerleader” for the audience. Launched in 1995, “Hotel Milwaukee” aired on Wisconsin Public Radio, SIRIUS Satellite and other broadcast outlets until 2002. A reunion show in January, 2010, at Milwaukee’s Turner Hall, attracted a live audience of 500-plus. For that blockbuster, Mills again assumed his regular post as emcee, much to the delight of his many fans.